Porches are increasingly popular in the UK for a number of reasons and normally act as a small space attached to the front of your home. They will either be enclosed with a door and windows, or open planned; which is especially great in the summer months. As you would expect there are a range of styles available to homeowners when it comes to the porch and a variety of materials to match too. By far the most popular are uPVC porches and wooden porches. As every property has its own character, front porch designs are individual to the home. Specialists in the industry will make to measure ensuring you have the perfect entrance to your home. So whether it’s to provide extra storage space for shoes, coats and bags, or to prevent to the cold weather from creeping into your home, a porch is a fantastic solution. The ability to eliminate draughts. This will effectively keep your home warmer all year round, reducing your fuel bill in the process. Improving the aesthetic appeal of your home. A quality front porch looks fantastic at the front of a property and dramatically enhances the first impression of your home for friends and family. Extra storage space. Depending on the size of porch you opt for, you’ll have extra space for anything you wish. They’re particularly handy for shoes, coats and bags, leaving your home free from clutter. Choose from a range of colours and designs. There are a wide selection of styles and colours available and people are looking for something other than the bright white traditional finish. The uPVC porch in particular can be sprayed to any colour, including a woodgrain effect to resemble natural timber. Often, this will never need repainting, whilst it won’t crack, flake or chip. Make the most from what a porch can offer your home and compare quotes from local, vetted and reputable professionals to get the very best price available in your area. Project: Porch approximately 2m by 1.25m., Need to have a access to a man hole cover so some sort of easy access from within the porch. Project: The customer required: Porch Additional notes: I spoke to this gentleman this afternoon and he wants a porch over his front door. The below information demonstrates the energy performance of properties in Uk. Energy ratings range from A to G, with A being the most energy efficient and G being the least efficient. The Energy Performance Certificate (EPC) rating factors heavily if you want to sell your property, as possible buyers will see just how much they're likely to be paying for their heating bills. House improvements such as insulation help you to significantly boost a home's EPC rating. The information below indicates the different types of properties in Uk. 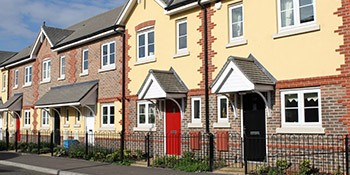 By far the most common homes around the United Kingdom are detached and semi-detached homes. Various other houses include terraced houses, flats, converted flats and bungalows. The data listed below gives an indication to the number of homes in Uk that are central heated and non-central heated. Households are heated by a variety of sources which indicate how pricey yearly energy bills are going to be. Types of central heating include gas, electricity, oil, solid fuel and LPG boilers. Changing the way in which your house is heated can easily see you with cheaper bills. The information underneath shows the spread of properties heated by various fuels. Around the United Kingdom the most common undoubtedly are gas heated properties, followed by electricity and then oil. Biomass boilers are also rising in popularity, heated by environment friendly products like wooden pellets or agricultural waste.|Homes in the UK are heated up by a number of fuels, including gas, electricity, oil, solid fuel and LPG boilers. Each fuel has a varying cost associated with it so you can find yourself with less expensive energy bills by changing how your property is heated. Even solar thermal panels are being regarded as by many people as a way to cut heating bills for the many years to come.